It’s faster done traditional Balikbayan Box. 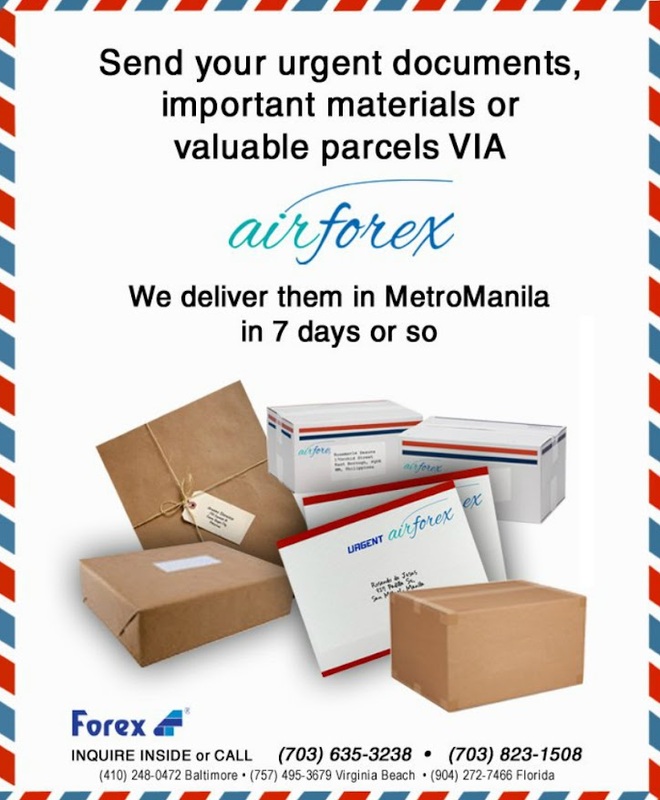 We deliver them in Metro Manila in 7 days or so. For more information, please feel free to call our Florida Main Office hotline at 904-458-SHIP (904-458-7447). All goods coming into the Philippines are subject to the assessment of import duties, taxes and a value-added tax based upon an article’s fair market value, freight cost and insurance. The rate of import duty varies depending on the commodity, ranging from 3% and up. The schedule of rates is listed under Section 104, Tariff and Customs Code of the Philippines (TCCP), as amended. In order to clear a shipment from Philippine Customs, it will be necessary for Forex to advance the payment of duties, taxes and VAT on behalf of the shipper and/or recipient. The Shipper and/or Recipient is ultimately liable for any duties and taxes assessed on a shipment. Duties, taxes and VAT shall be billed automatically to the Shipper and/or Recipient. Shipments will be held securely at the Forex warehouse until payment of the duties, taxes and VAT is received. After payment is received, the packages will be delivered without delay.  All other articles or part thereof, the importation of which is prohibited by law or rules and regulation issued by competent authority (as amended by Presidential Decree no. 34).